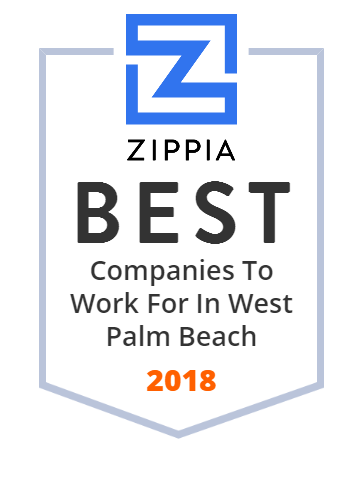 We hand-curated a list of the best companies to work for headquartered in and around West Palm Beach, FL using data on salaries, company financial health, and employee diversity. The department is responsible for 1,813 square miles, providing services to almost 900,000 residents throughout the county. ASR Group is the world's largest refiner and marketer of cane sugar. It offers branded and private label sugars, sweeteners, and syrups for grocery, food service, industrial, and pharmaceutical channels in the Americas, Caribbean, Europe, the Middle East, India, and Asia. The company was founded in 1891 and is headquartered in West Palm Beach, Florida. F1 Oncology is a clinical-stage biotechnology company that applies cellular therapies for the treatment of cancer. The company's aim is to achieve clinically relevant reductions in cancer mortality by using scientifically proven and innovative methods. Founded in 2015 in West Palm Beach, FL, F1 Oncology has additional locations in Shanghai, Grand Cayman, and San Diego. SV Microwave is a world leader in the RF/Microwave industry. It designs and manufactures RF/Microwave coaxial connectors, cable assemblies and passive components that are used in military, aerospace and commercial applications. SV Microwave was acquired by Amphenol Corporation in May of 2005. The company was founded in 1960 and is based in West Palm Beach, Florida. Cheney Brothers is a wholesale that supplies foodservice operators in Florida and other parts of the South with more than 15,000 food and nonfood items, including beverages, dairy items, produce, meats, seafood, disposable goods, janitorial supplies, and maintenance equipment. Cheney Brothers is a family-owned company that was founded in 1925 in West Palm Beach, FL. The company currently employs over 1800 people and exports to over 80 countries worldwide. Ranger Construction Industries, a subsidiary of Florida-based Vecellio Group, builds and resurfaces roads and parking lots, and operates asphalt plants and a large fleet of excavation, grading, and asphalt equipment. Ranger Construction Industries was originally founded as Rubin Construction in 1938. Headquarted in West Palm Beach, FL, the company also established locations in Orlando, DeBary, Ft. Pierce, Grant, Pompano Beach and Miami. In 1981, TooJay's began with a single location on the island of Palm Beach, and now, it has almost 30 locations around the country. Over the years, this privately owned company's focus is still the same which is serving hearty portions of homemade comfort foods, handcrafted sandwiches, and made-from-scratch soups, salads, and baked goods. TooJay's also offers a catering menu packed with crowd-pleasing favorites for any size group. JumPedal Corporation is a leader in the development of advanced digital compression processes. Its random sequence capable loss less process is the only process of its kind in the world today. The company's goal is to develop & market digital network appliances & services that improve network bandwidths and provide its partners & customers with the lowest cost network services on the market. Established in 2010, JumPedal is headquarted in West Palm Beach, FL. BikeStreet USA is one of the fastest growing lines of specialty retail bike shops in America. Fuel Foods is a Toronto based team of health, wellness, and nutrition professionals, combining over 30 years experience with over 20 years in the kitchen. This privately owned company works with clients of all professions and fitness levels, offering unique meal options suitable for every individual's health and dietary goals. At Fuel Foods, their commitment is to deliver the results their client wants with foods that are not only healthy but delicious to the very last bite. Sewell Hardware provides tools, hardware, and supplies for commercial and residential markets in Stuart, Vero Beach, and West Palm Beach, FL. The company offers door hardware, hardware trims for wind-load resistant doors and windows, handcrafted door hardware and trims, construction fasteners, safety equipment, and other products. Sewell Hardware family owned & operated since 1924 and is headquarted in West Palm Beach, FL. Nozzle Nolen has been protecting homes and businesses in South FL from nuisance and damaging pests since 1951. Call today to find out how we can help you! Bush Brothers & Company is a family-owned corporation best known for its Bush's Best brand canned baked beans. The company produces approximately 80 percent of the canned baked beans consumed in the United States, representing estimated annual sales in excess of $400 million and the processing of more than 55 million pounds of beans per year. In addition, the company also offers other canned beans (black, garbanzo, pinto, and refried), as well as peas, hominy, and cut green beans. Based in Knoxville, Tennessee, Bush Brothers operates plants in Augusta, Wisconsin and Chestnut Hill, Tennessee. Its canned goods are sold through retail food outlets and food service operators throughout the United States and Canada. Altec Roofing installs custom single-family, multi-family and commercial roofs throughout South Florida. Altec Roofing specializes in roof repairs, roof replacements, roof maintenance, waterproofing, roof cleaning and custom sheet metal fabrications. The company was established in 1984 in West Palm Beach, FL. Altec Roofing stays on the leading edge of technology, utilizing the most advanced options available. Stockton Maintenance Group, Inc., (SMG) is the regional leader providing quality facility services such as janitorial and maintenance services. Services include preventive maintenance and repair, skilled labor, plumbing, carpentry, electrician, and unskilled labor - general maintenance. The company services over 600 different governmental facilities, office buildings, bank branches, headquarters buildings, commercial facilities, and retail facilities. Stockton Maintenance Group was incorporated in 1994 by its founder Douglas Riordan and is based in West Palm Beach, FL.